TVS Jupiter is set to receive a major update by next year. The scooter will receive mechanical as well as cosmetic upgrades. TVS Jupiter is the second best selling scooter in India, wedged between Access 125 and Honda Activa. 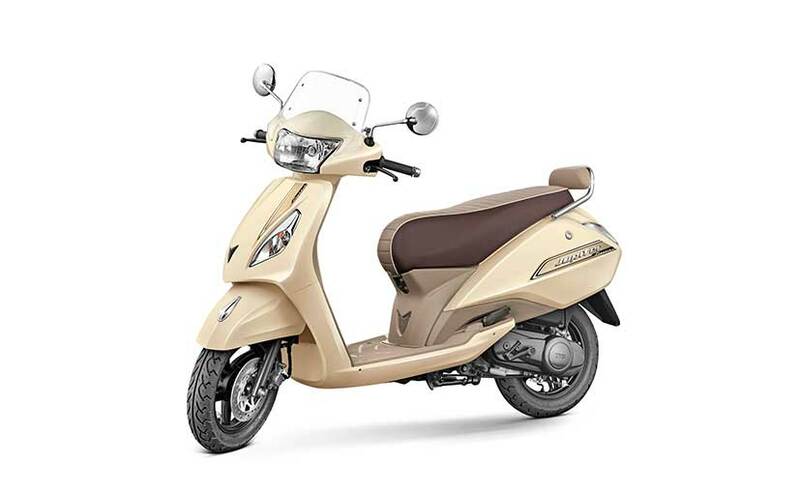 Its simple yet classy looks and a good features list makes it popular amongst 110cc scooters. However, latest reports suggest that the Jupiter is set to receive a facelift by the next year. It will receive significant upgrades along with new BS-6 engines for the upcoming emission norms next year. Bikewale reports that the 2020 TVS Jupiter is currently under works and is expected to be launched near Festive Season 2020. TVS has reportedly chosen the design and features of the scooter. Visual change will include a slightly revised front apron and the rear portion. New colour options might be introduced, which actually include a lot now. Like earlier, the higher variants will be available in premium colours and chrome detailing. Based on a spy shot, the 2020 TVS Jupiter will get a new instrument console with a medium-sized LCD display at the bottom. Information such as tripmeter, odometer, fuel indicator and much more will be displayed. We expect all the variants of the future Jupiter series to get LED headlamps. In the current series, only Grande Edition is equipped with one. Mechanical upgrades will include introduction of fuel injection system as standard fitment. For the upcoming BS-6 emissions, all the two-wheelers are getting FI system. This will improve the fuel economy by a small figure. It will continue with the same 109.7cc engine, that delivers 7.9 BHP and 8 Nm of peak torque. The motor comes mated to a CVTi gearbox. A slight decline in the figures is expected with FI. The fuel economy stands at 55 kmpl. With the fuel tank capacity of 5 Litres, TVS offers a riding range of nearly 200-200 kms. The FI system might increase the mileage by 10%. The prices of Jupiter will increase by a small margin, since it is already one of the costliest 110cc scooters. It will continue to go against Honda Activa, Yamaha Fascino, Suzuki Access 125 and Hero Duet.